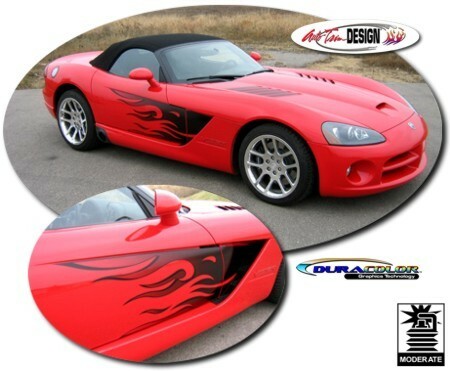 Set yourself apart with this "Hot" Flame Graphic kit for your '03-'10 Dodge Viper! These awesome body side graphics are designed to fit perfectly in the Viper's body side indentation - NO TRIMMING required! Starting as solid at the front vent, the graphics fade to your vehicle's paint scheme with a solid outline to the back. Available in four (4) Fade colors.